For the data security is important how the data is stored, not where. 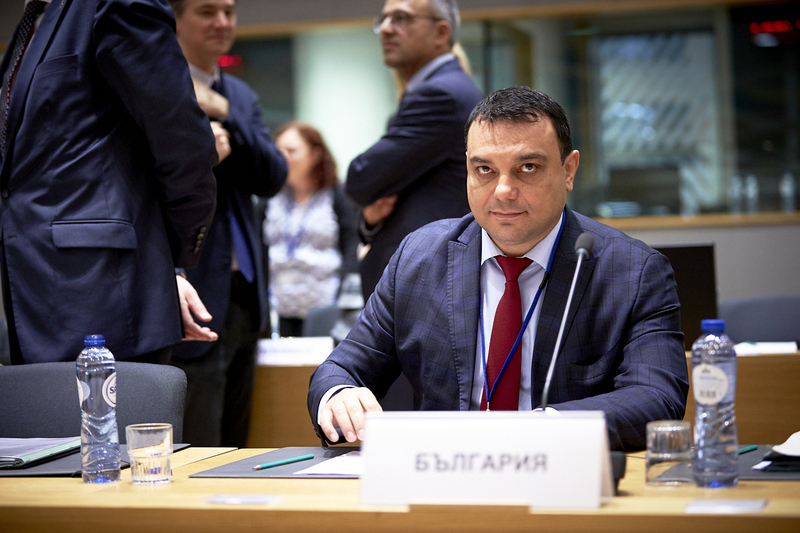 The Minister of Transport, Information Technology and Communications, Ivaylo Moskovski stated this during the Council of Ministers for Telecommunications. The Minister emphasized that the combination of modern means and good practices in cybersecurity is the key to secure storage and processing of data, not the localization. It is important to benefit by the positive practices at European and national level as this would ensure good cooperation and significantly reduce the administrative and financial burden, he added. Minister Moskovski noted that securing the free movement of data is a significant step towards completing the single digital market. This is the last Council meeting in the telecommunications sector, hosted by the Estonian government. After that on January 1, 2018 it will be taken over by Bulgaria. Minister Moskovski presented the priorities of our country during the upcoming Bulgarian presidency. They are a security and stability policy, the digital economy and the European perspective for the Western Balkans. He emphasized that Bulgaria and Europe must be open to the digital revolution that is why an effective technology for the processing and free movement of personal and non-personal data in the EU is needed. We will continue the negotiations on the proposal for the Electronic Communications Code. We are also committed to the negotiations with the European Parliament on the Body of the European Regulators for Electronic Communications to reach a political agreement. The completed digital single market should not have any restrictions on the free movement of data. This way we will build on what our Estonian colleagues have done so far to realize it, Minister Moskovski added. He emphasized that the Bulgarian government’s goal is to reach a common approach and to start negotiations with the EP on reaching the e-privacy dossier. Great attention in our political agenda is paid to the cybersecurity. We will seek a common approach to the proposal for a cybersecurity act during the Council in June 2018. During our presidency, there will also be other upcoming initiatives by the Commission and the Bulgarian commissioner, Maria Gabriel, in the fields where a common EU approach is need. Such initiatives are the artificial intelligence, the fight against the fake news and illegal content on the Internet.